It's Halloween today! 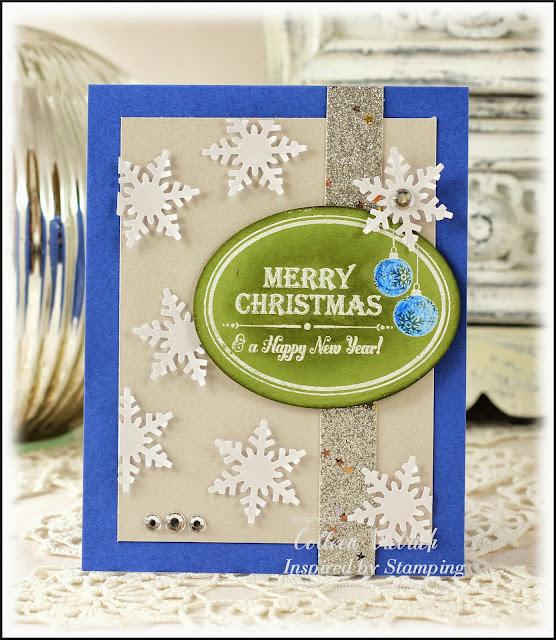 And it's my turn to be featured on the social media sites at Inspired By Stamping, so I created something seasonally appropriate. These pumpkins were stamped on patterned papers using Pumpkin Faces (minus the facial parts ;). 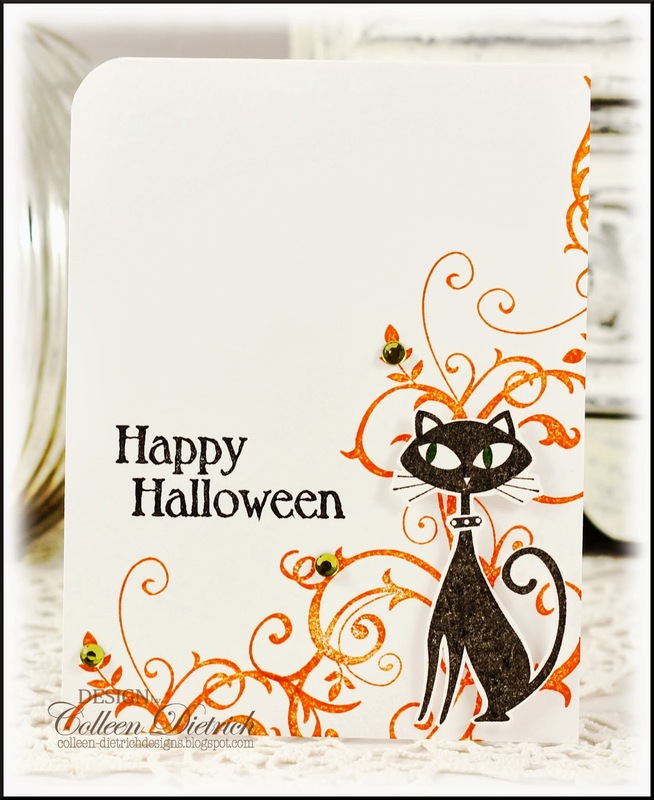 After inking the edges, I stamped on some spiders and cobwebs from Halloween Tags, and a big spider from A Spooky Halloween. A bit of twine stands in for vine tendrils. 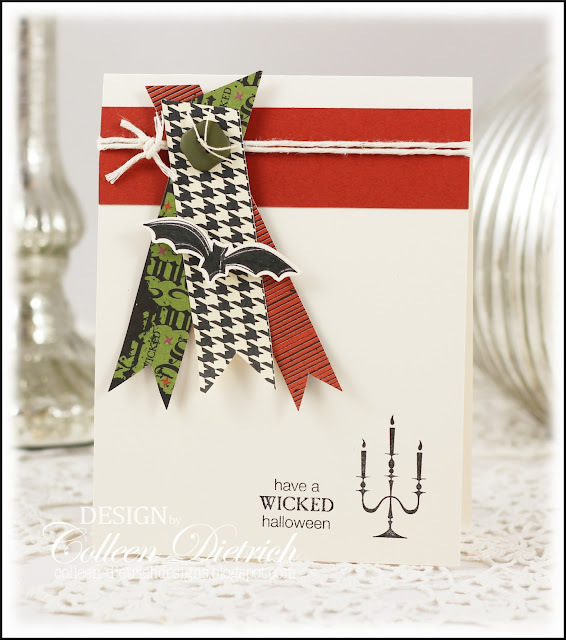 I used a label from Halloween Labels as my sentiment. It was heat embossed in black, then I got inky with a sponge and shades of purples. The moon was colored with Copic markers. My sister-in-law got engaged not too long ago, and I made a special card to express our excitement for the happy couple. 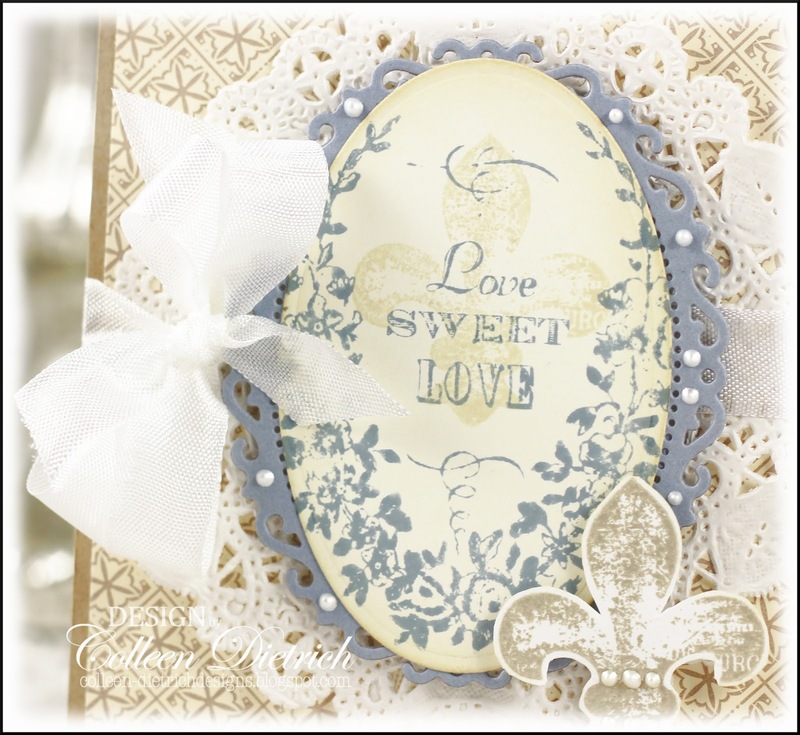 These Vintage Blue stamps are by Glitz Designs, and I was so excited when I found them at Hobby Lobby a year ago. 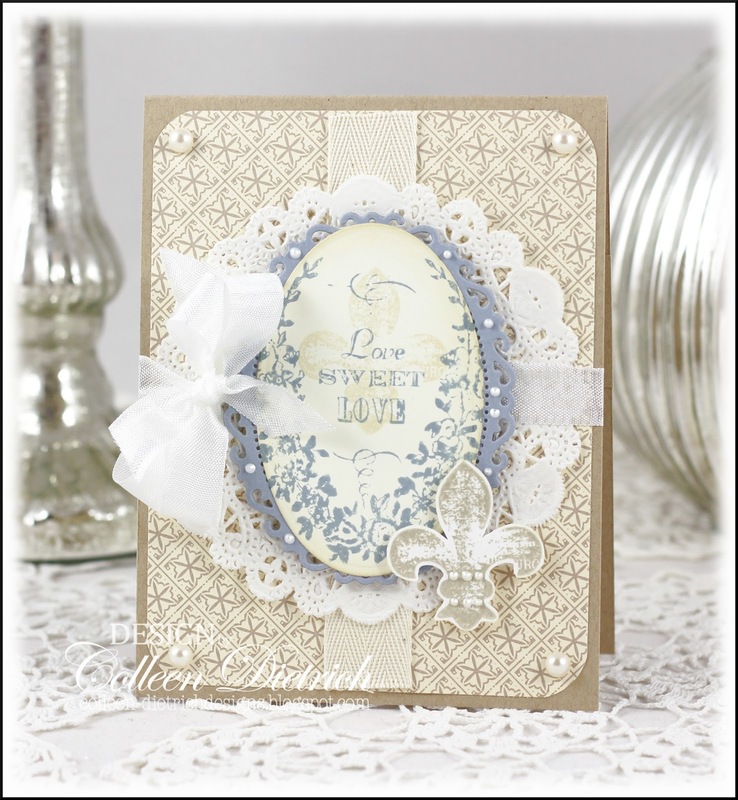 Love the shabby chic, vintage vibe of them. My SIL is very much into fleur-de-lis images, so I made sure to include a couple of those on here. You know some days those fabulous ideas for cards come to you easily...and other days, not so much. I needed some help the day I made these thank you cards. On Pinterest, I found a card very much like what you see below. Can't find it on my boards now, mind you. I think it was by a PTI gal, maybe Nichole Heady. I SO wish I could link up for a credit! Sorry! Always, always, my "Sympathy" category of cards at the shop empties out much too soon on a regular basis. It's a sad reminder that death is a part of life. 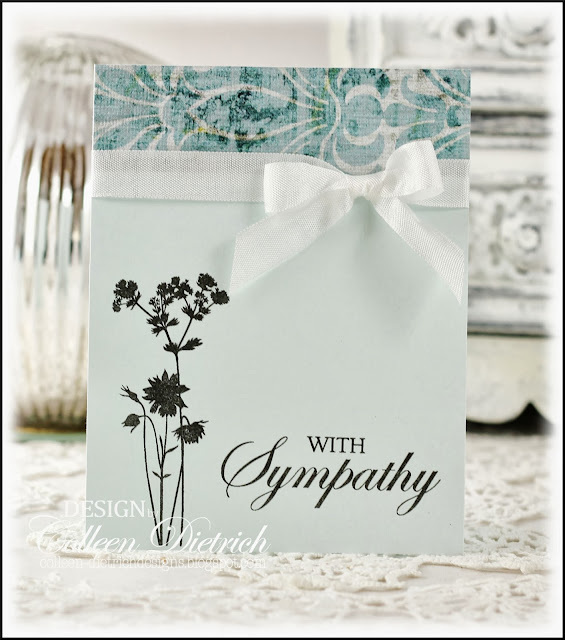 When I make sympathy cards, I try hard not to think about the loss involved. Instead, I focus on creating something with soft beauty that will offer quiet peace to the recipient. Very few materials were needed for this, and the tranquil shades of aqua seemed perfect. 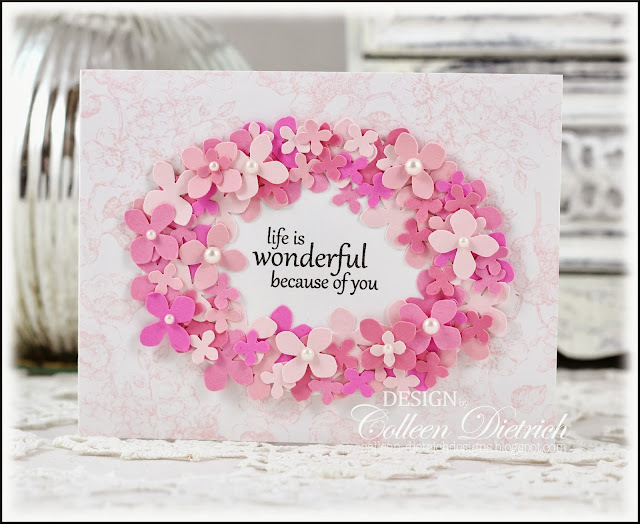 The silhouetted flowers and sentiment are from Hero Arts. I was digging through my card stash recently, and came upon THIS card of mine from 2009. That was pre-blog! At the time, I was crushing on a crafter named Michelle Zindorf, who is a master at sponging scenes with ink. I made the autumn card you see below in her style, minus the twine and sentiment. After rediscovering it recently, it looked too plain to me. Funny how our opinions and taste change over time. Back then, I did not want to cover up my emboss-resist art. 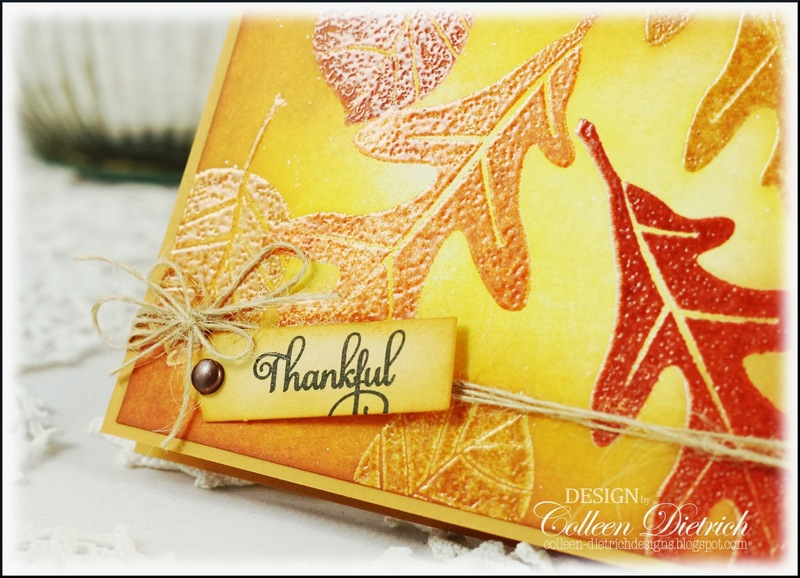 Now I've added a tag with a sentiment from Happy Fall (Inspired By Stamping), some twine and an aged copper brad. I thought Michelle's technique of emboss-resist was very cool. She inks her stamp first in Versamark watermark ink, then onto a dye ink pad. Stamp image on cardstock, then sprinkle clear embossing powder on stamped images, and hit with the heat tool. When it's cool and dry, sponge on dye inks. I used three yellow inks and I think an orange ink to create the 'glow' you see. Not too long ago, I had Pinned a card that looks very similar to the one below, over on Pinterest. 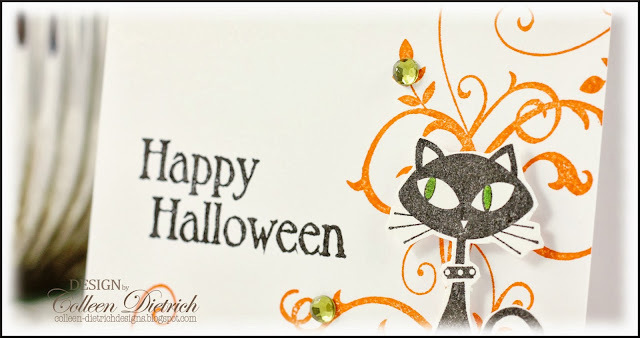 I fell in love with its simplicity, and knew I could use my Cool Cat (Stampin' Up!) kitty (far too neglected) for it. 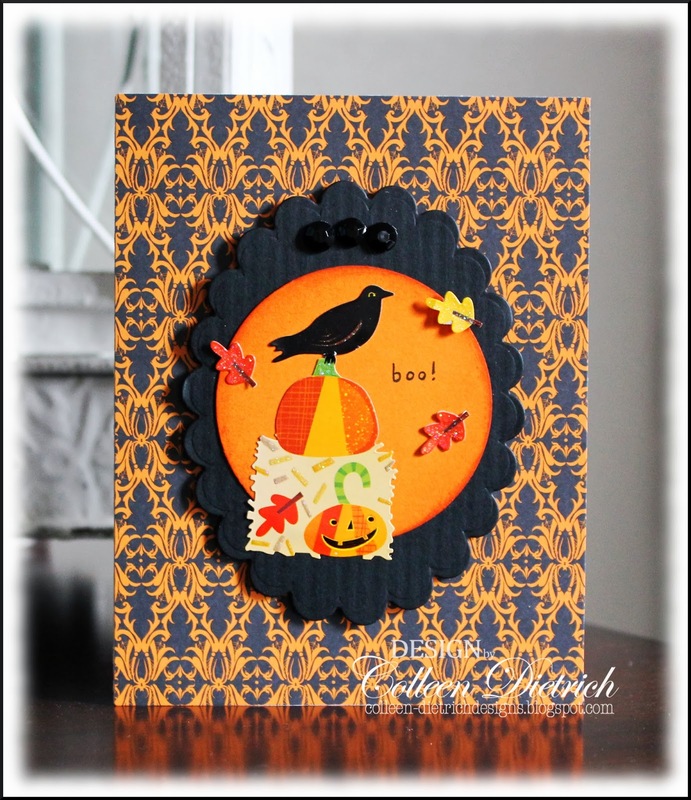 The sentiment is from Inspired By Stamping's Halloween Labels. I added green eyes to Kitty with Smooch Ink, and some green bling among the orange swirls (Baroque Motifs - SU). This is for my SIL, whose birthday is Halloween. 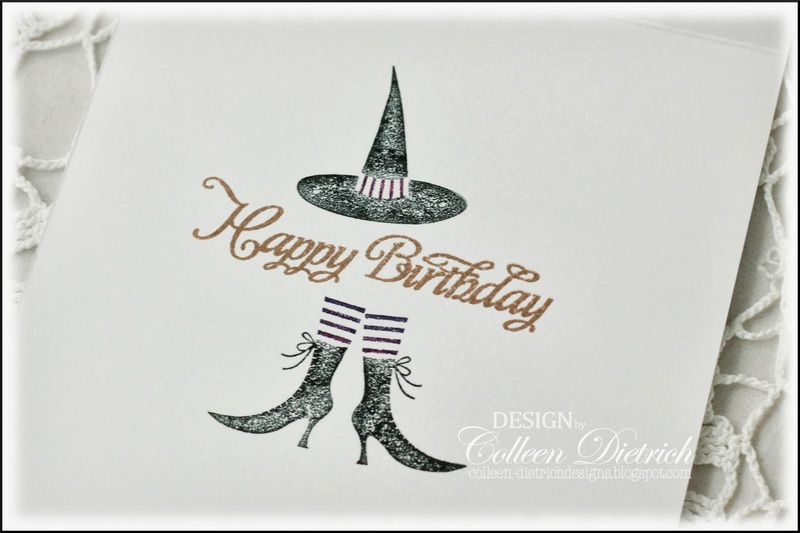 So inside, I used a hat and witch's legs from Wicked Cool (SU), and a sentiment from Inspired By Stamping's Fancy Sentiments. 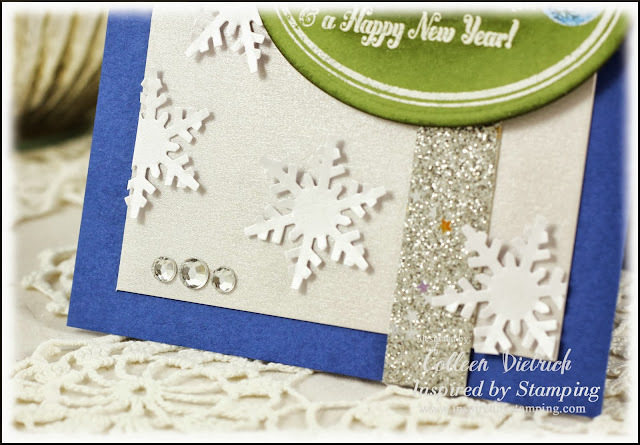 Remember the other day, here on my blog, I shared some projects made with Inspired By Stamping and WorldWin goodies -- for the Holiday Blog Hop? I made a couple extra cards, just because. 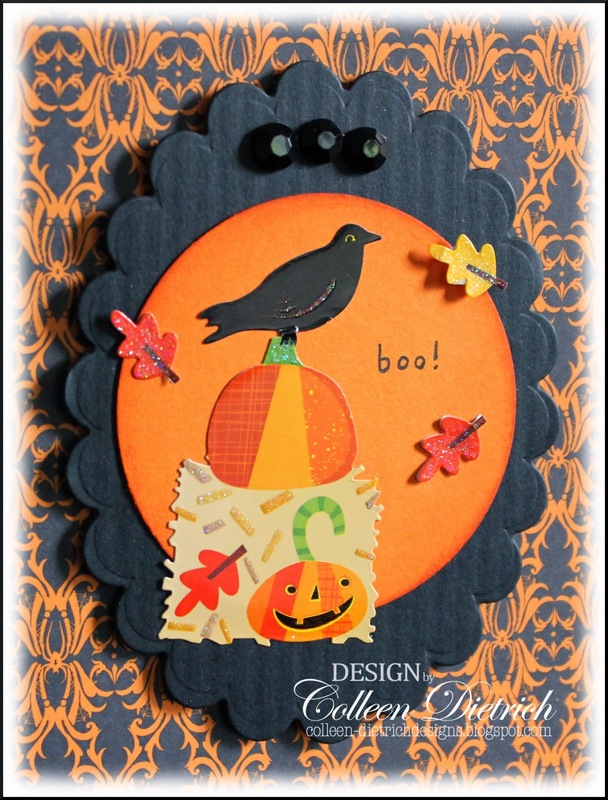 First up is an autumn card with lots of falling leaves. This was fun to make! I used lots of fun WW products on here: Petallics® Wine Cup and Gold Ore (that beautiful, shimmery yellow), Worldwin® Cardstock Packs - Ivory and Kraft, Kromekote® Brushed Gold Foil Mirror Finish, and Original Colormates® Dark Spring Green. Can you see the shimmer on the Gold Ore cardstock? It's there on the Wine Cup leaves, too. On some of the leaves, I stamped patterns from IBS' Background Basics II and Whimsical Banners. 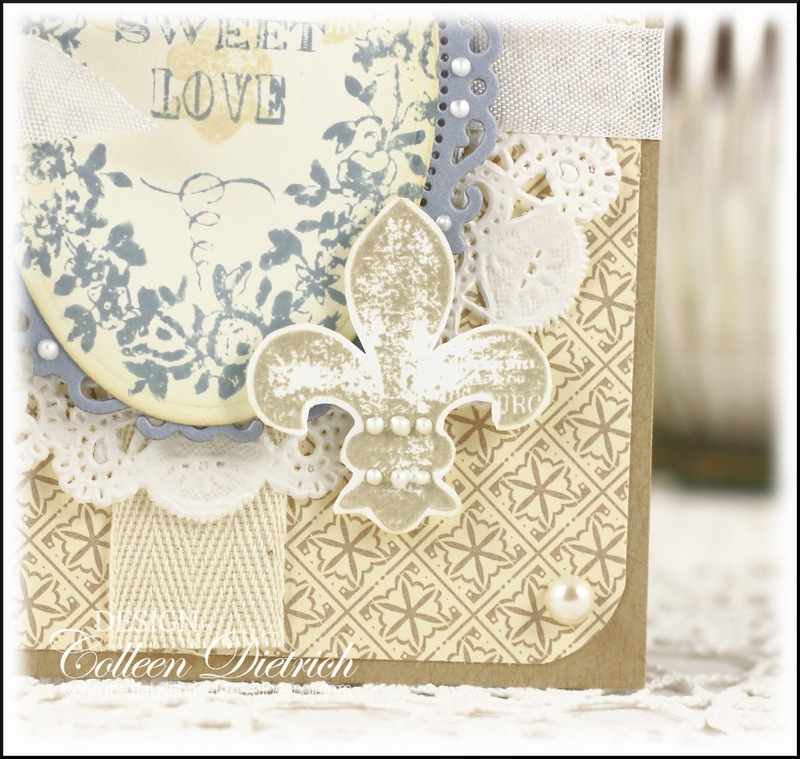 The White Crochet Tape added a nice feminine touch. There's one brilliant Kromekote® Brushed Gold Foil Mirror Finish maple leaf here, resting on a frame made with a frame from French Country. The sentiment is from Happy Fall, and the flourish is from Fancy Label 18. I know it's not the time of year for strawberries, but I love them any time of year! 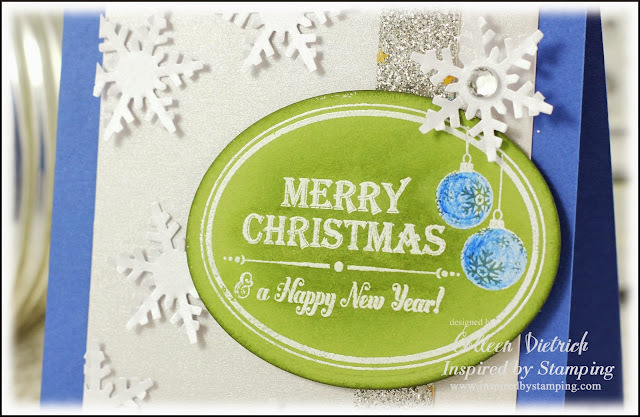 I used Original Colormates® Deep Belgium Blue for the base, then topped it with a bit of Translucent Vellum™Clear Inkjet Printable Vellum. 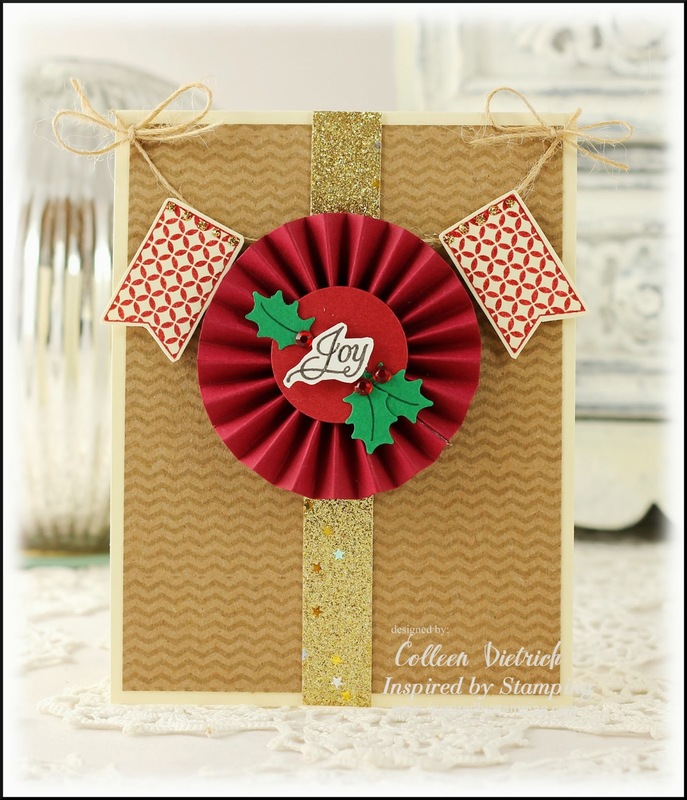 The punched borders are made with Original Colormates® Medium Berry Red. 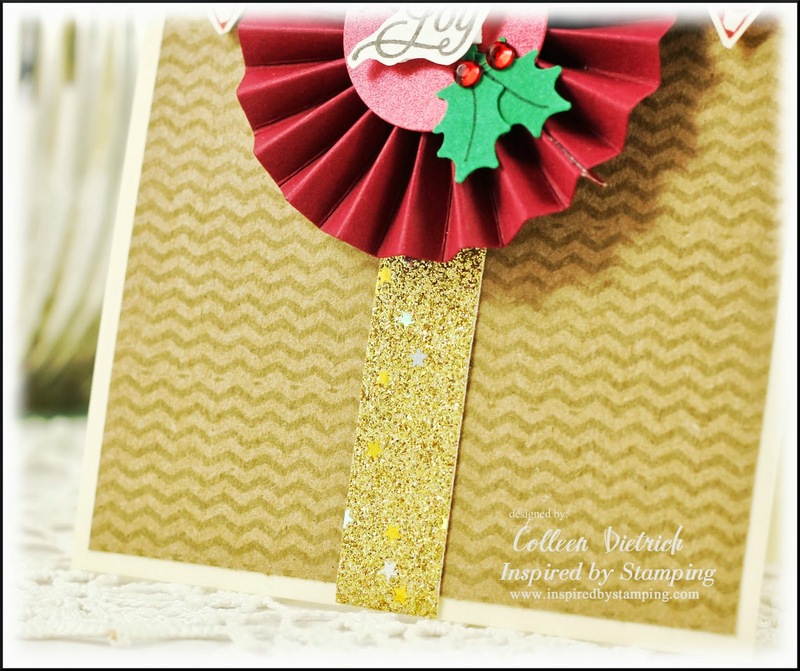 I stamped a birthday greeting from Creative Tags within a frame from Fancy Circles. The little strawberries from Mason Jar Summer Add On are topped with tiny dots of Liquid Pearls. Have you seen the Broadway show, Wicked? I have not, but my now-15-YO did when she was only 4. She was a HUGE fan of the Wizard of Oz movie, so her grandparents took her to see Wicked in NYC when it first came out. Sadly, she doesn't remember anything about it now that she's older. Aaah, youth (and a Broadway show) is wasted on the young! 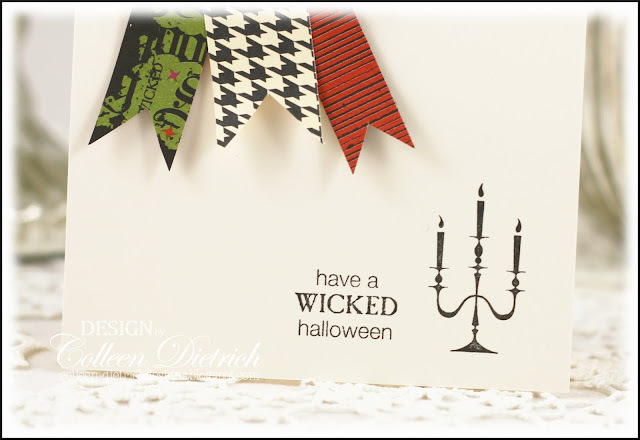 Wicked has nothing to do with my card, except for the title. I fiiiiiinally inked up a Stampin' Up! set called Wicked Cool after a few years (ahem). Just love that fine-lined candelabra. 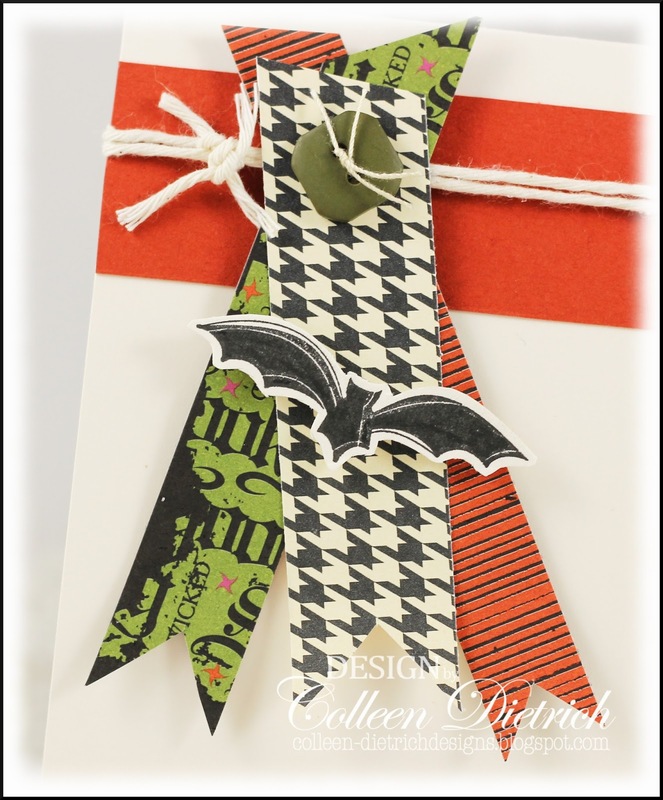 I dug into my scrap container for some suitable Halloween-ish patterns (all from SU, too) and 'hung' banners from honest-to-goodness bakery twine, then topped with an old SU button and a stamped bat from Autumn Apparitions. That'll do it for now. Thanks so much for joining me today! Here's a magazine reject (boo hoo) from a while back. I held on to it and tried again and again to submit, but it was never chosen. Ah well. Now I get to share with YOU! 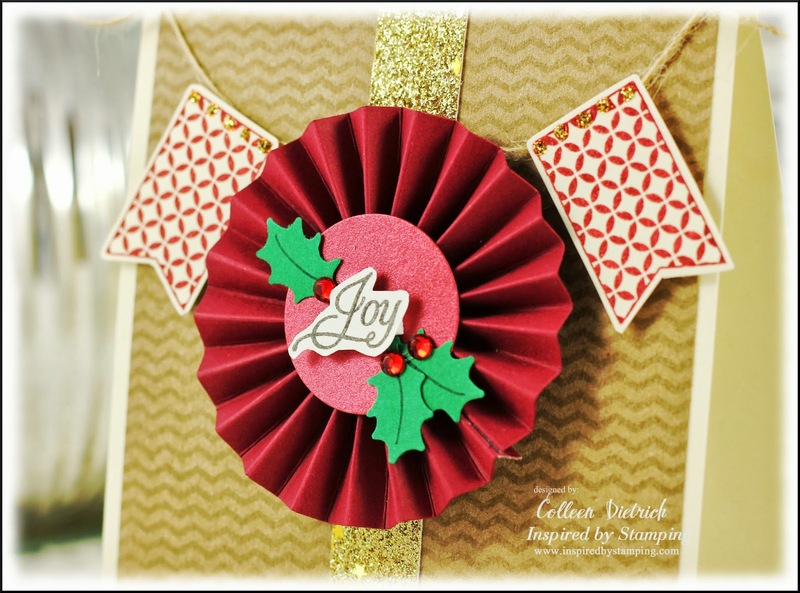 Stamped the floral spray from Elements of Style (Stampin' Up!) in pale pink on the card base, and the sentiment is from Magical Moments by Wplus9. The frame took a while (I'm sure you can tell) to create with lots and lots and lots of punched hydrangea blossoms. It was kind of fun that day, as I recall. 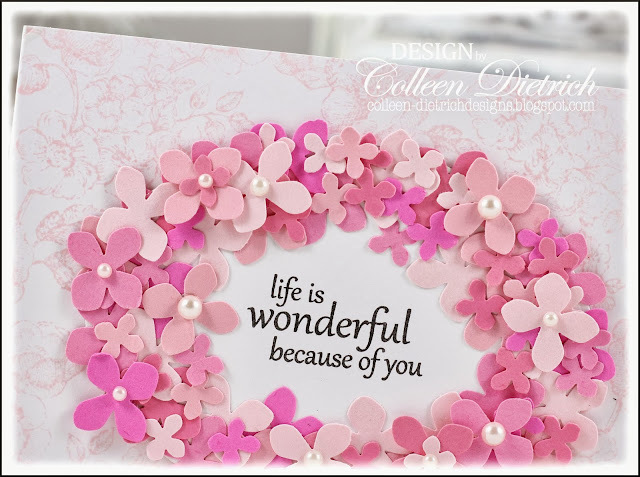 Stamps: Elements of Style - SU; Magical Moments - Wplus9 Paper: white - PTI; assorted pinks Ink: Pink Pirhouette - SU; Versafine Onyx Black - Tsukineko Accessories & Tools: hydrangea punch - Martha Stewart; pearls - Recollections, Queen & Co.